Just About Anything: Oh My! I've Got Quins! You wouldn't believe if I tell you that I had quins! 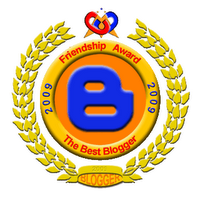 No, not quintuplet babies, you silly, though it would have been nice if I had but quintuplet awards from dearest Aniknik of Niko's Blog! I hope she doesn't mind my calling her Aniknik. 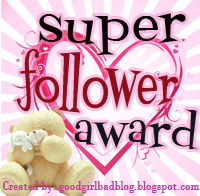 I am just so fond of her because she never fails to drop me a line or too, visit my blogs and remember me when she gives out tags and awards. 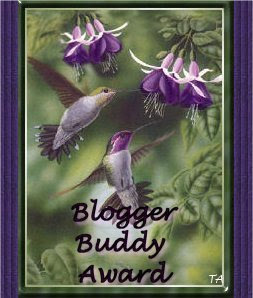 So to my dear Aniknik, VIELEN DANK for these Blogger Buddy Award, The Best Blogger Friendship Award, Queen of Blogs Award, Super Follower Award and I Heart Your Blog Award! 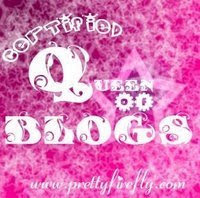 Now I am passing these quins to all my friends in my blogroll! Do grab them if you have the time!